From canopy to roots, mangrove forests offer everything from wildlife habitat to the protection and stabilization of shorelines. They are also important for storing carbon dioxide and keeping it out of the atmosphere. 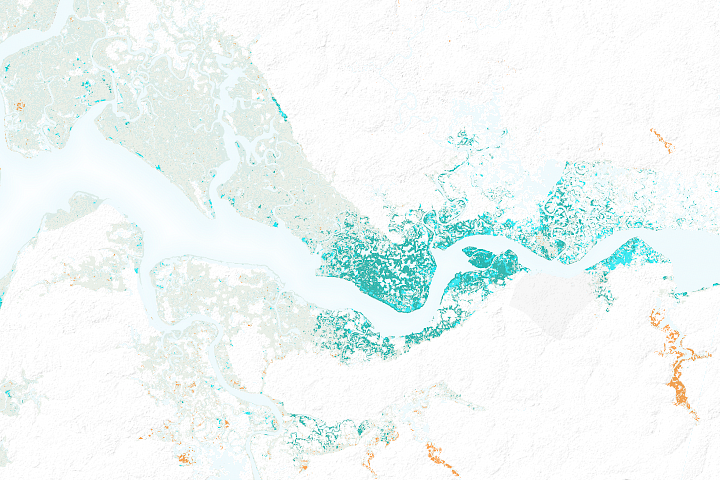 It’s this carbon component of mangroves—how much carbon they store, and how land cover changes affect where that carbon ends up—that has scientists taking stock from the ground, air, and space. 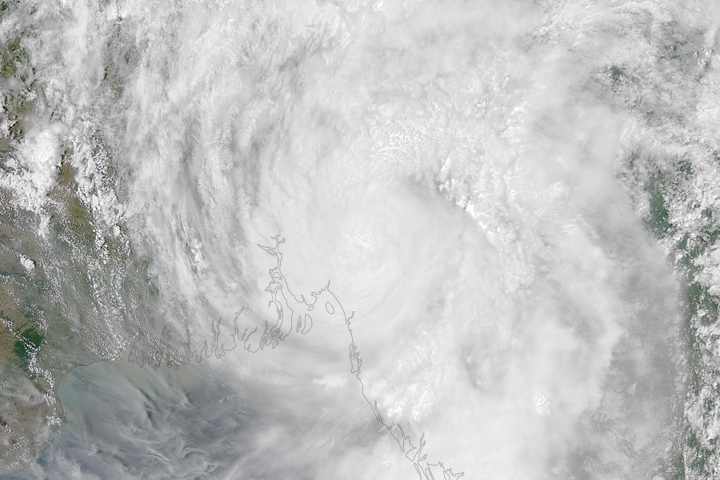 The space-based component of that research includes the use of satellite radar data to model the height of mangrove forest canopies. 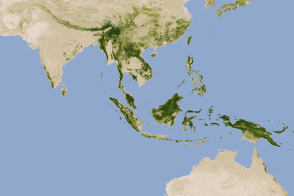 (For example, see this map of canopy height in Pongara National Park.) Canopy height can be used to estimate things like the total amount of biomass in a forest and how much carbon it holds. 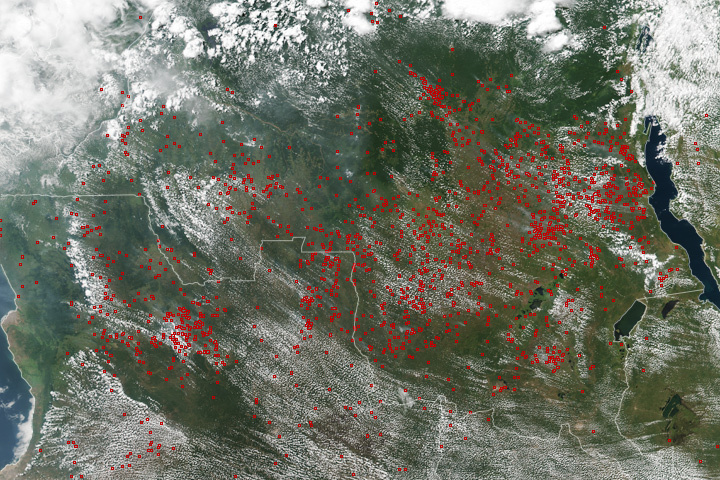 But to make the most precise biomass and carbon estimates from above, scientists first need to go below the canopy. 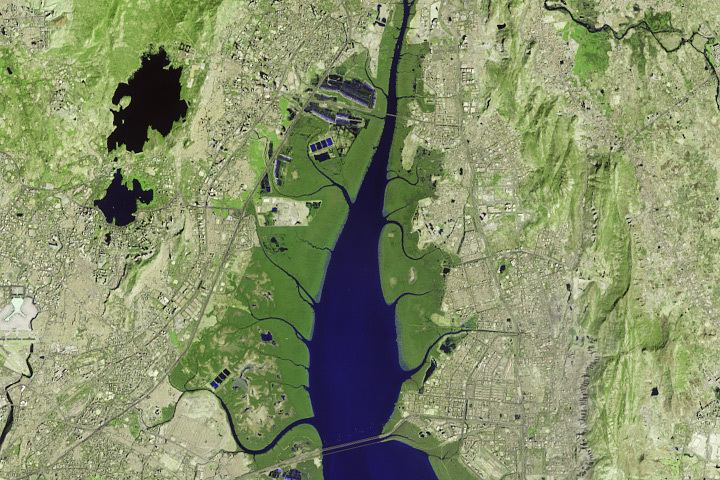 That’s because the structure of mangroves can vary dramatically between species. In February 2017, scientists including David Lagomasino of the University of Maryland and NASA’s Goddard Space Flight Center went to Pongara National Park in Gabon to get a better picture of this park’s mangrove structure. “Our work for this project is to characterize the 3D structure of mangrove forests and how it changes over time, which is important for protecting and properly managing coastal areas,” Lagomasino wrote in a blog post about the fieldwork. The team collected measurements of the diameter and height of trees in order to determine the amount of biomass above the ground. They also collected core samples from the soil to determine the amount below ground. To supplement these traditional measurements, the team turned to lasers and cameras. 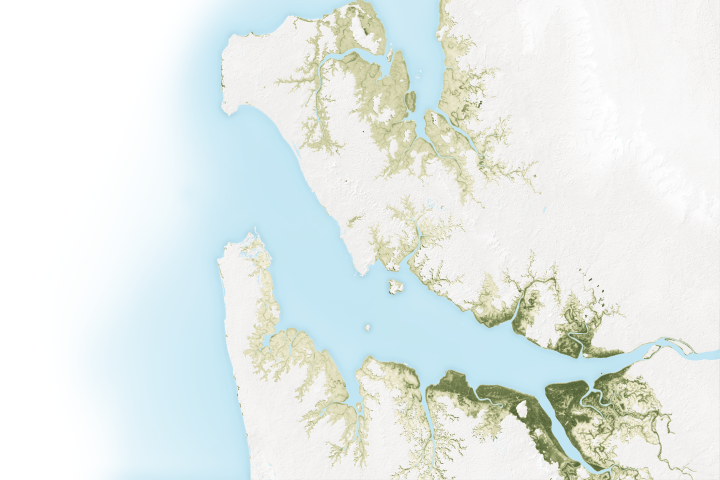 The map above shows a 3D model of some of the park’s taller mangroves. 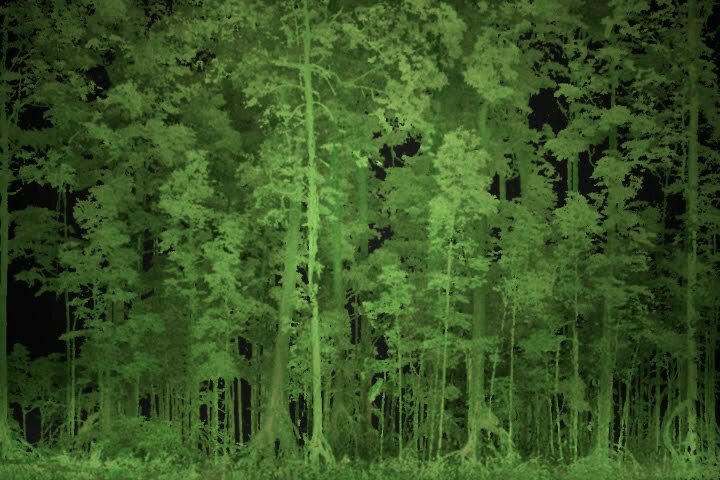 It was produced with data collected with the Terrestrial Laser Scanner (TLS), operated by Atticus Stovall of the University of Virginia. The mangroves in this forest are in the genus Rhizophora. They have the distinctive “prop root” or “stilt root” structure, which appears above ground as a tangled, arching mass of roots. This structure gives the mangrove extra support, and also allows for additional access to oxygen amid oxygen-poor sediments. The photograph above shows another view of the mangrove structure, captured with the Terrestrial Recording of 3D 360 Surveys (TR33S). This instrument uses multiple cameras to collect images in every direction, from which researchers can compose a 360-degree view and create 3D models. 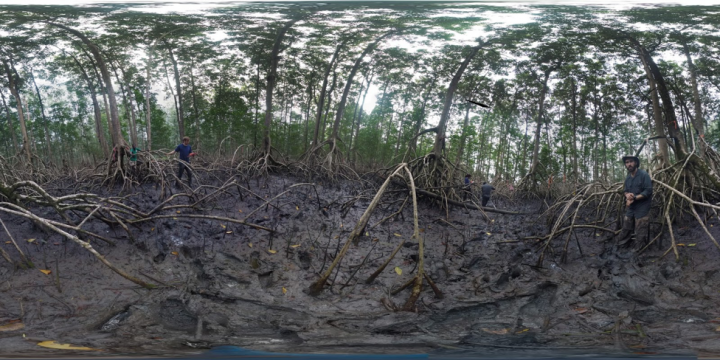 Pan around the image here to see researchers collecting data amid mangroves measuring 30 meters tall. Trees elsewhere in the park reach even higher, growing up to 60 meters. NASA Earth Observatory images by Joshua Stevens, using TLS data courtesy of Atticus Stovall/University of Virginia, based on work supported by the NASA Carbon Monitoring System program. Story by Kathryn Hansen. 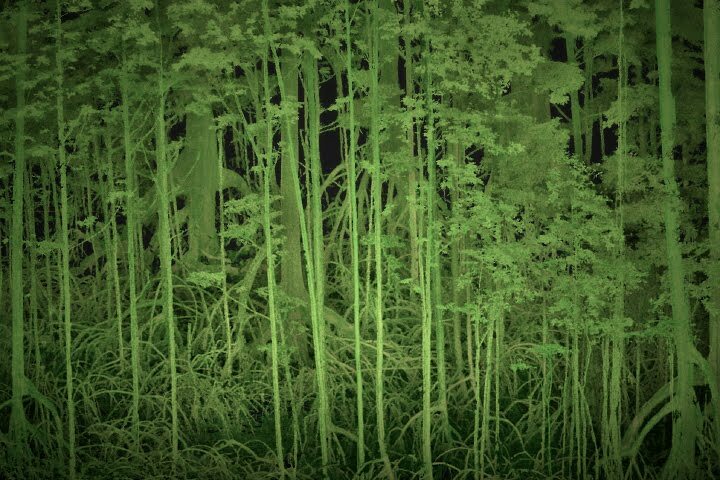 Scientists use lasers and cameras to characterize the 3D structure of mangrove forests in Gabon. GESTAR (2016, October) Lagomasino Receives USRA IRAD Award. Accessed May 31, 2017. Mangrove Science, Terrestrial Laser Scanning. Accessed May 31, 2017. 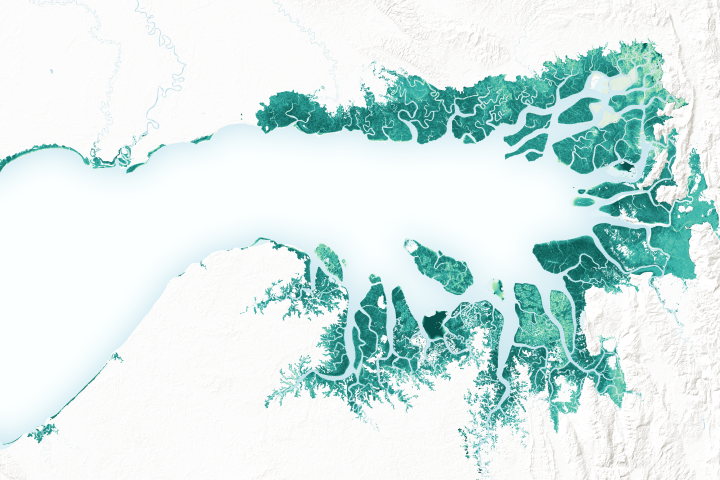 NASA Earth Observatory (2017, May 19) Gabon’s Towering Mangroves.